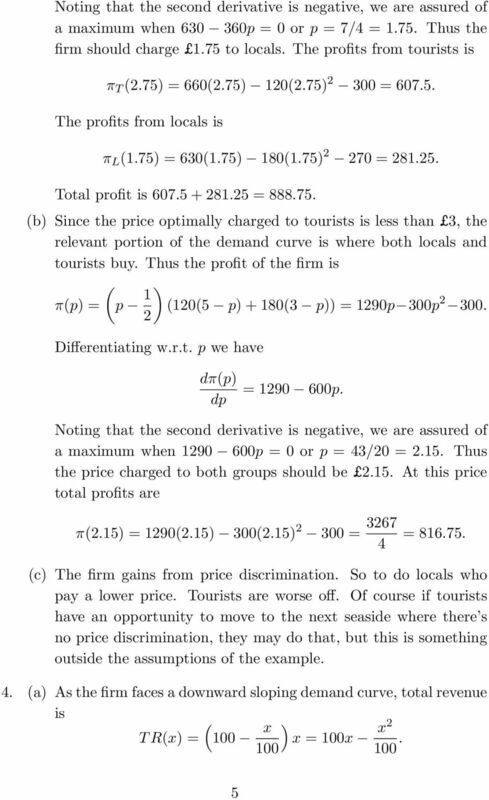 Download "KEELE UNIVERSITY MID-TERM TEST, 2007 BA BUSINESS ECONOMICS BA FINANCE AND ECONOMICS BA MANAGEMENT SCIENCE ECO 20015 MANAGERIAL ECONOMICS II"
Suppose you are a seller with cost 13 who must pay a sales tax of 15. What is the lowest price you can sell at and not lose money? 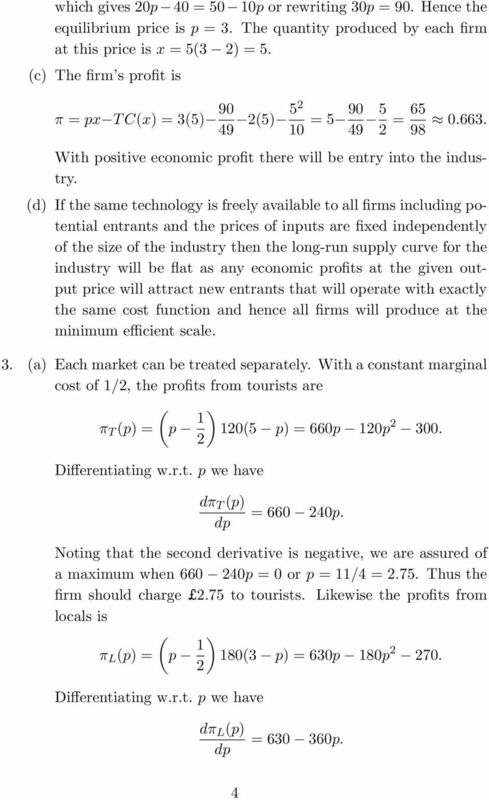 Chapter 05 Perfect Competition, Monopoly, and Economic Multiple Choice Questions Use Figure 5.1 to answer questions 1-2: Figure 5.1 1. 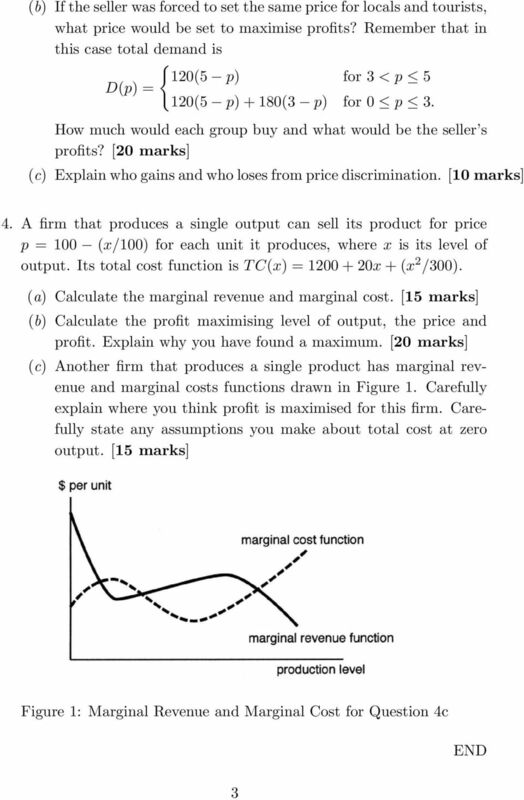 In Figure 5.1 above, what output would a perfect competitor produce? Jacob: If there is a tax, there is a dead weight loss; why do we speak of a social gain? 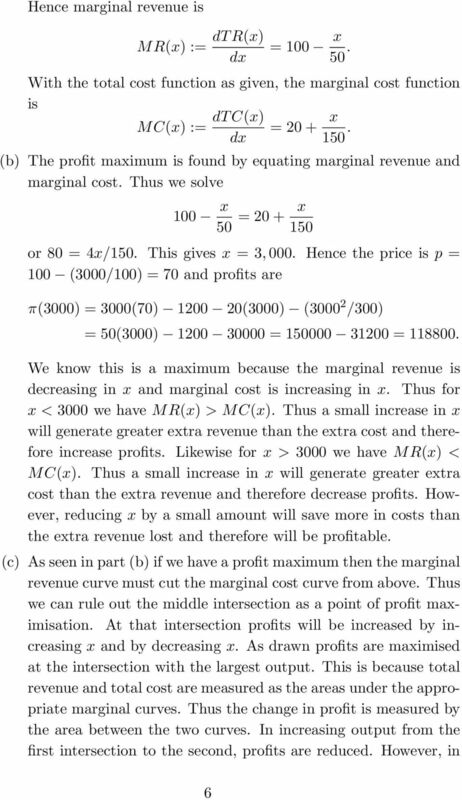 Economics II: Micro Fall 2009 Exercise session 5. 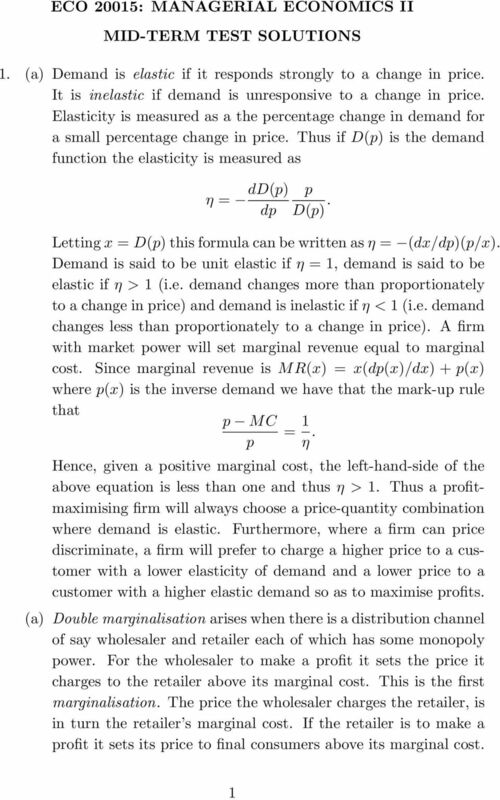 Market with a sole supplier is Monopolistic. 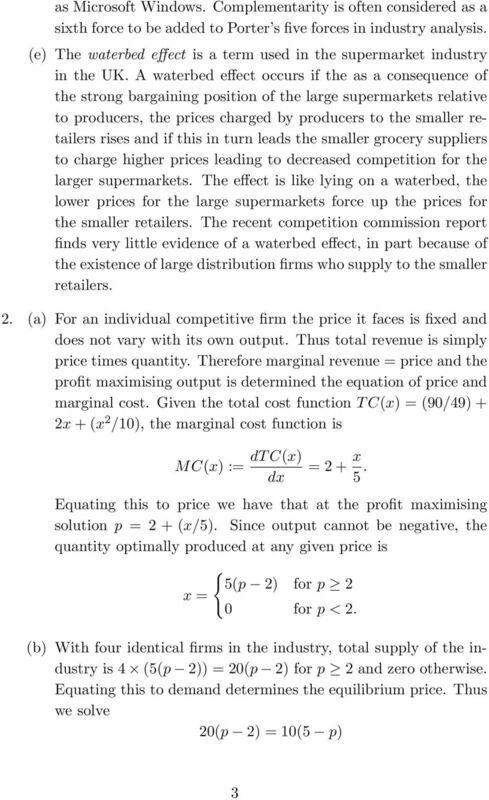 CHAPTER 8 PROFIT MAXIMIZATION AND COMPETITIVE SUPPLY TEACHING NOTES This chapter begins by explaining what we mean by a competitive market and why it makes sense to assume that firms try to maximize profit. Oligopoly. Oligopoly is a market structure in which the number of sellers is small. 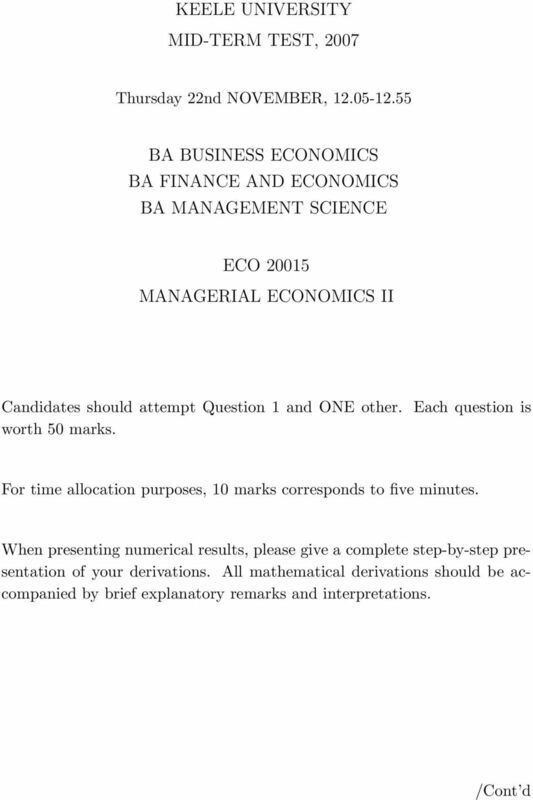 Econ 101 Summer 2005 In-class Assignment 2 & HW3 MULTIPLE CHOICE 1. 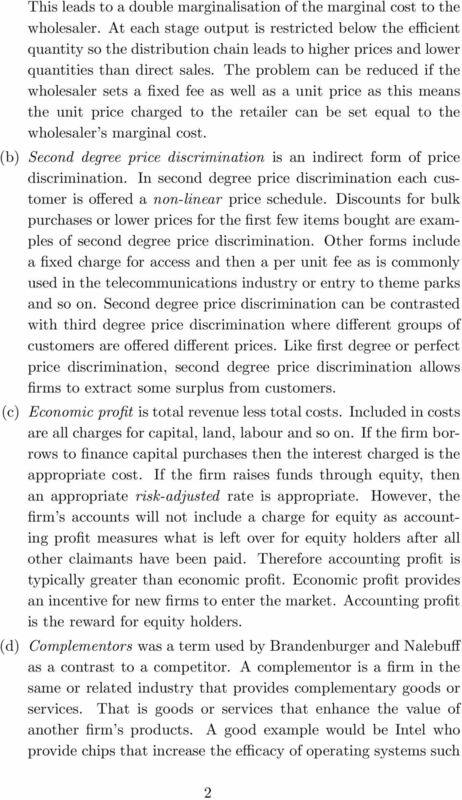 A government-imposed price ceiling set below the market's equilibrium price for a good will produce an excess supply of the good. 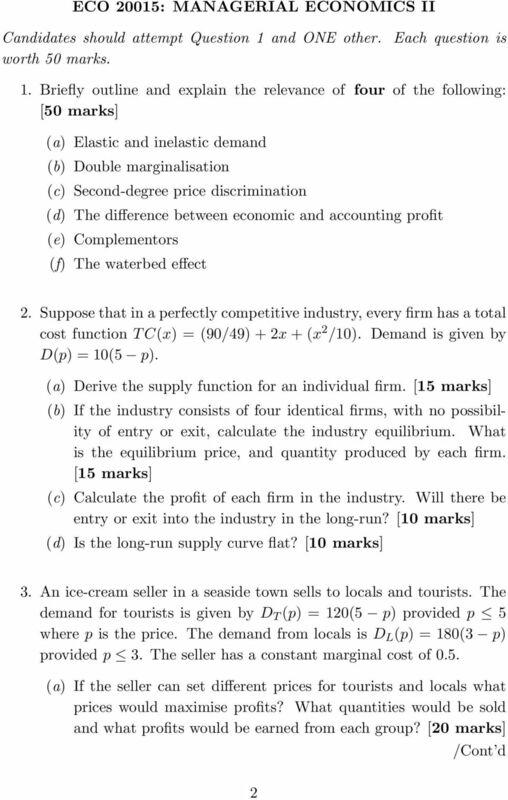 a.
chapter: Solution Solution Monopoly 1. Each of the following firms possesses market power. 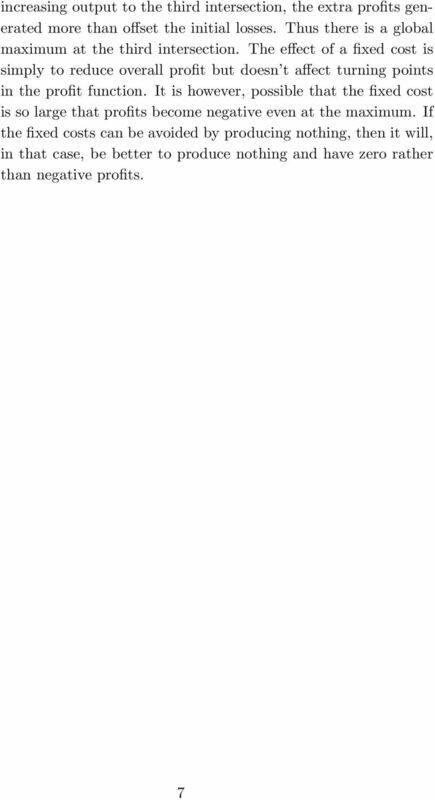 Explain its source.